So, it’s been a very long time since I’ve posted anything. I blame this on not really knowing what to write. Over the summer, though, I got an entry position in a local coffee chain (no, not Starbucks) as a barista. Soon, I was thrusted into this whole realm of espresso, milk steaming, and customer service. I’ve been working there for about 7 months now and have somehow climbed the ranks to a shift lead position. Needless to say, my whole view of coffee shops and being a barista has changed dramatically. I feel like I’ve finally torn the veil between what is ordered and how it’s actually made. I also now sympathize with baristas more, for I understand their difficulties (at least to some extent). So this is my attempt to vent out some confusions and overall frustrations with my current occupation. Note: I am still a novice at this, and so my knowledge is limited to what I have been trained to make in my store/company vs. other franchises. The darker the roast, the darker the color. What I’ve noticed so far is that most of our customer base doesn’t quite know the difference between a light, medium, or dark roast. Sure, they may know intrinsically that the overall taste is stronger with the darker roasts, but they then seem to equate strength in taste with caffeine content. This is a normal assumption, for it just makes sense for the darker tasting coffee to have more caffeine than the lighter one. However, the lighter roasts actually contain more caffeine than the darker roasts. This is due to the individual weight of the bean. 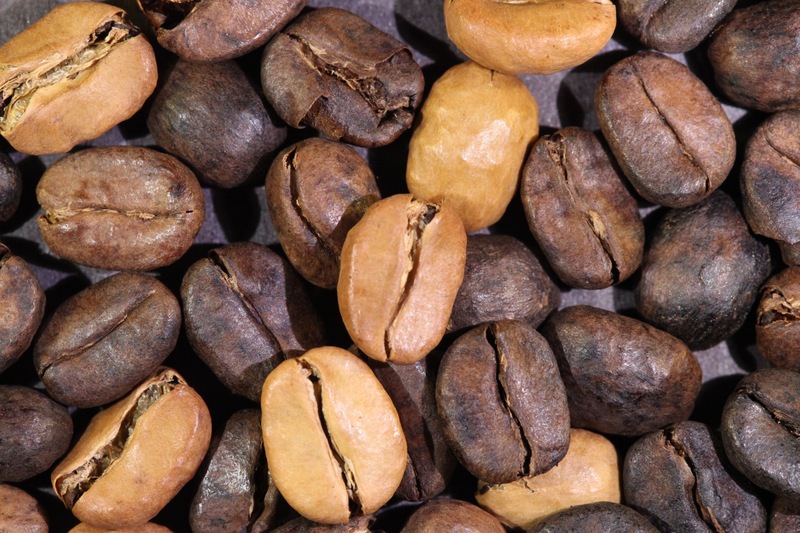 Due to darker blends being roasted longer than lighter blends, they lose more overall weight. Thus is if you brew via volume, you’ll be getting less caffeine than by brewing via weight. My specific store owns a bean roaster, and from what I’ve heard (from a few of our roasters) is the difference between a light roast and a dark roast, in terms of time, is only a couple minutes. My store, however, never really offers a light roast (we’re actually a bit infamous for having darker coffee, and our “light blends” often taste like a medium roast). We do weigh out our beans before grinding them, so technically you’re still receiving the same amount of caffeine in a dark roast as in our medium/light roasts. But not all coffee houses measure what they’re going to brew via weight, so keep that in mind before you go in for a caffeine fix. Gibraltar, or an espresso macchiato (sometimes a caffé macchiato). Here’s one that pretty much drives me up a wall. Whenever a customer comes in asking for a macchiato, I have to ask them to clarify what they want. Because of Starbucks’ Iced Caramel Latte Macchiato (which is that weird, layered sweet latte), my store offers a similar one for competition’s sake. 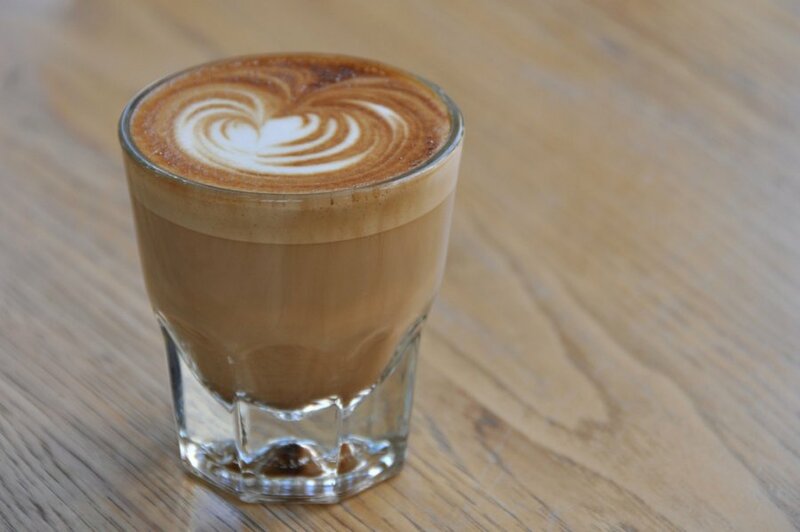 But a traditional macchiato is a shot of espresso with some milk foam on top (which I’ve heard called a Espresso Macchiato or a Gibraltar). To add another confusing layer, I was also trained to make a macchiato that is an upside-down latte, in which you pour the milk and the foam into the cup and then pour the espresso shot right into the center, making a dot in the center (or “mark”). So, if you are going to head to a non-chain coffee house, make sure you know what you’re ordering ahead of time so that you don’t get disappointed when someone doesn’t hand you your overly-complicated sweet milk drink. 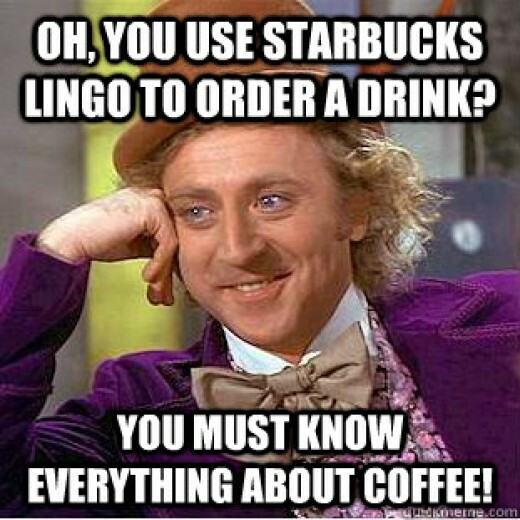 I think this sums up my views on Starbucks Lingo. Now, don’t go on thinking that I have some immense bias against Starbucks. They’ve done a lot into creating new and interesting drinks (such as the frappuccino) and I believe that they have great consistency in their roasts. The one thing that irritates me is the specific language that they use, and how it affects how most coffee consumers speak. I’m probably not the only one who’s had to decipher Starbucks-speak in order to get the customer’s drink the way they want it. But in all honesty, you can just describe what you want and I’ll make it for you. There’s no real need to throw around all this confusing language. I’ve actually had customers who’ve wanted a “tall” coffee, and I’ve given them a small, only to find out that they wanted a large. It also took me 6 months to fully realize what people meant by getting a “skinny” latte. At first I thought it was just a skim latte. Simple. But with the mochas or vanilla lattes, getting one “skinny” means skim milk + sugar-free syrup + no whip cream. In the end, don’t assume that your barista can fully understand the Starbucks jargon, and don’t use it if you don’t know what you’re actually ordering. Now I realize that you’ve probably had the idea of tipping food service people ingrained into since you were a kid. Have a good waitress, leave them 18%. 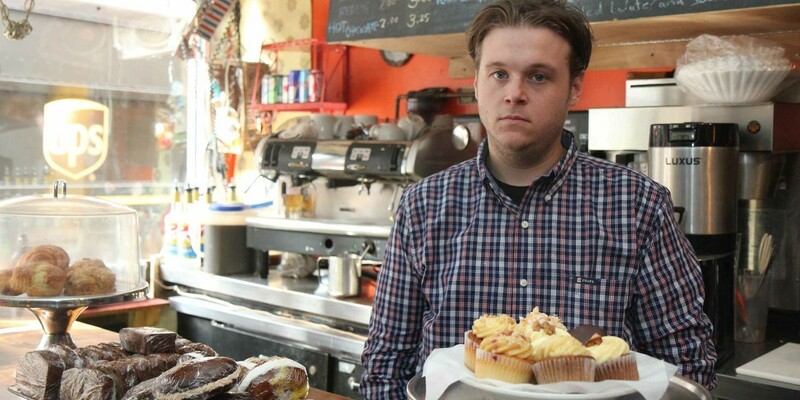 Go out for drinks, give the bartender a couple bucks A thing I’ve noticed is that there’s some kind of disconnect between tipping a barista and tipping other food service people. It’s like somehow we’re noticed as not needing tips. I can tell you for sure that tipping us makes a huge difference, not only in our finances but in our overall attitude to you as a customer. Firstly, one is not paid much as a barista. When I began, I was at minimum wage and the longer that I worked at my store, the more raises there were built in (I also got a raise by becoming a shift lead too). Nevertheless, the average barista (at least in chain stores) is making only slightly more than those who are in fast food. Tips help us baristas out a lot. My coworkers and I often just spend them on food and transportation costs. I want to thank those who do tip their baristas, for you’re pretty much inadvertently helping us survive. You’re helping me survive as a college student. 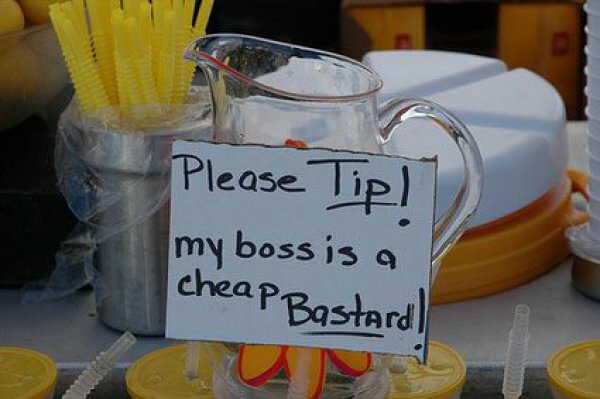 If one doesn’t tip, it often can have negative consequences on the quality of their drink. I’m not saying that I’ve purposefully made a crappy drink in spite of someone, but you do tend to care less about the person’s drink if they just didn’t tip or if they’re rude when ordering their drink. And I can understand not tipping when it comes to a $3 cup of coffee, but when you are ordering $15 or more of coffee and food items, don’t be stingy. It just makes you look like a jerk and we become disgruntled. If you ever wonder why baristas tend to look like this, just think of all the people we’ve had to put up with. The Golden Rule just comes to mind when I write this. Please, treat me as you would treat yourself. It’s as simple as that. Somehow, there seems to be a disconnect with that phrase in regards to those in food service. One of my coworkers often calls food service “dehumanizing,” and I think she’s right. Sometime between walking into the store and approaching the counter, you seem to forget that I am a human and thus have the same struggles you do. I get stressed too. So if you come into the store during our morning rush and are downright rude to me and my fellow baristas, we may resent you and not care about your drink as much. Another issue I find is when the customer claims to know more than the barista. Sometimes there are really knowledgeable customers, who know their stuff and know coffee. But if you watch me make your drink and then interrupt me, telling me that I’m making it wrong, that’s just rude. I had a customer once order an iced chai tea latte, and when I was pouring in the milk, they told me that it was too much (chai lattes are supposed to be milk and chai tea – that’s it). So I asked if they wanted it remade, and they rudely said “Yes!” So when I was making their second iced chai, they then realized that they did order a chai and not one of our cold press drinks (apparently they always ordered that one specific cold press drink that had a little milk, and confused what they actually ordered this time [an iced chai] with what they’d always order). They apologized, but by that time I was just done. Of course, I smiled and said that it was no problem, but by the time that they left the store I had already disliked them as a customer. I could even go on about having customers stare you down as you make them their drinks, or when I make them their food (my store sells sandwiches and wraps) and they literally stand 5 feet away from me, watching my every move. I myself don’t like to be stared at, and I can understand them making sure that the quality is good, but it just makes the whole process for me uncomfortable. So please, don’t forget that I’m a human and that I deserve every ounce of respect that you do. Just because I’m standing behind a counter doesn’t mean that I’m somehow incompetent, or that I’m superhuman. I will make mistakes and I will get flustered. But in the end, I do want to serve you the best I can and be the best barista you’ve ever had. When I first began as a barista, I found this video helpful to navigate all the different drinks and terms.